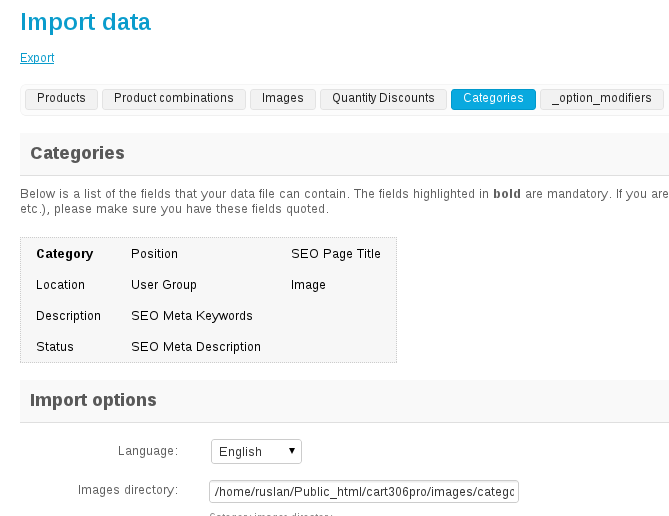 This CS-Cart modification allows customers to export or import the required categories. 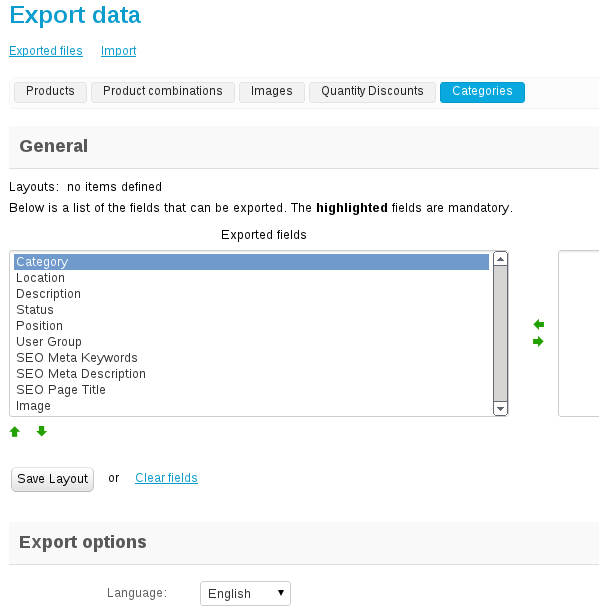 The fields that can be exported/imported are Category, Location, Description, Status, Position, User group, SEO Meta Keywords, SEO Meta Description, SEO Page Title, Image. The initial price of this modification for CS-Cart shopping platform v.3 was $320. Now we are ready to implement it for $160. Please, contact us if you have any questions about this mod.